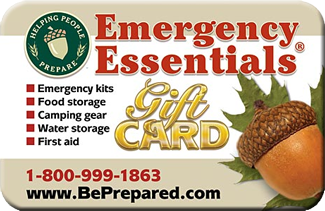 Favorite Blog Today: Preparedness Pantry- $20 Gift Card for all! 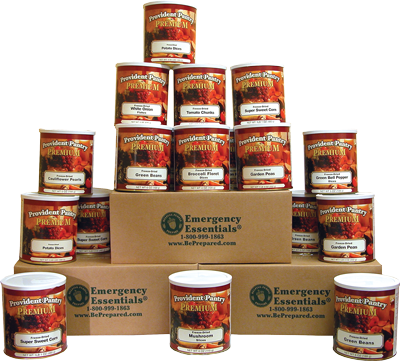 If your interested in food storage at all, Preparedness Pantry is a great blog to check out! It's a great resource if your trying to build or maintain your storage. 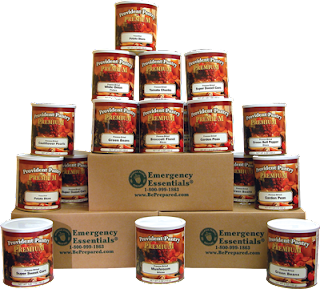 They are offering 2 ways to earn $10 gift cards to Emergency Essentials! I just got mine in the mail today for putting their button on my blog (which I would have done anyway). Go here for the details so you can get a $10 gift card too! Another feature of theirs is the Food Storage Analyzer. You just plug in what you have and it tells you what you need! It also has TONS of recipes so you know what to do with it all. At first you enter how many are in your family and their ages so it's totally personal to your needs. If your serious about building a food storage, this is a great asset! One thing to note- if your buying items from them then it's easy to add to the analyzer. If your entering your own items it will be quite a project since it asks for nutritional information. Good info to have, but could be a lot of work. When you try out the FREE analyzer and post a review of it on your blog they will send you ANOTHER $10 Gift Card!!! Details are here. I would love the coupons!